One thing that’s been missing from SwiftKit Mobile (and I think a lot of other apps) is the social feature set allowing users to share, like or comment on certain views as you would a webpage. A few weeks ago I came across Socialize – a ‘Drop in Social Platform’ for Android and iOS. This platform allows you to quickly and easily add social elements to your app. 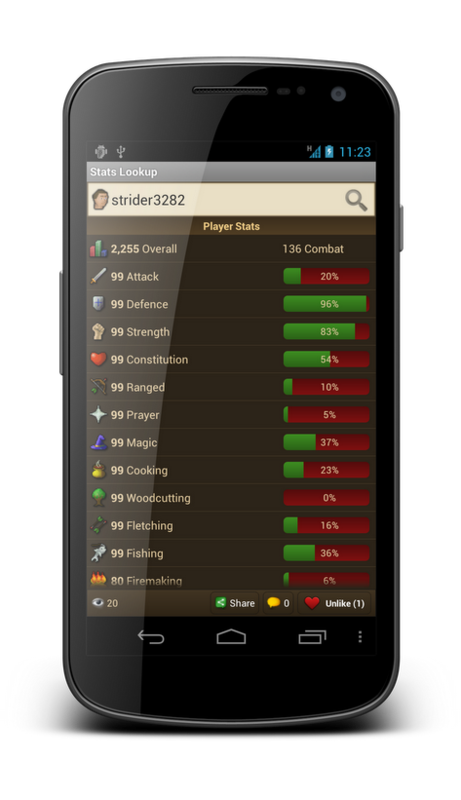 Using this platform SwiftKit Mobile for Android now gives you the ability to share, like and comment on views such as an item, NPC, news article or even a players Adventurer’s Log. You can even see how many times the view has been visited. Although the Socialize SDK comes with a great ready made ‘Action Bar’, the appearance of it didn’t quite suit the style of SwiftKit Mobile. So a custom social bar was made to include views, share, like and comment. You can see the new social bar in action in a couple of the screenshots below. When you first update to the latest version you will automatically have a ‘profile’ created for you. If you wish to you can then link your Facebook and or Twitter account. It’s recommended that you link your profile with Twitter or Facebook as that way if you re-install the app or upgrade to the full version all your likes, comments and views will be kept. To do this simply hit the comment button on the social bar and then hit your menu key and go to settings. From there you can customize your profile. 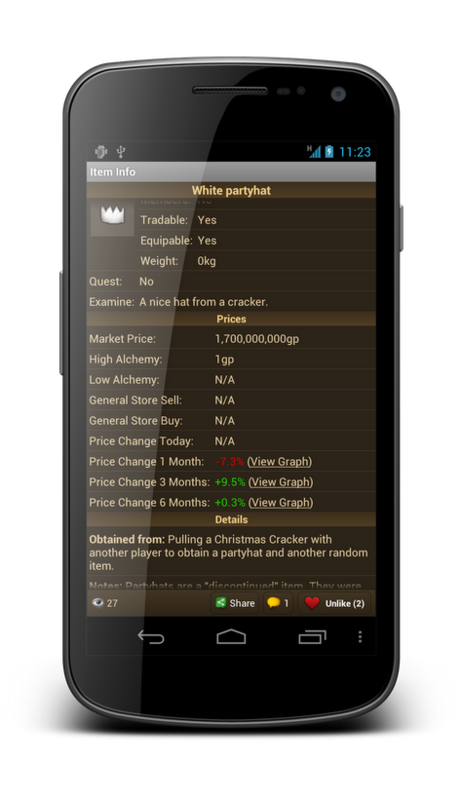 Currently the social bar is available in the Android version of SwiftKit Mobile. If all goes well we will look into integrating it into the iOS version.